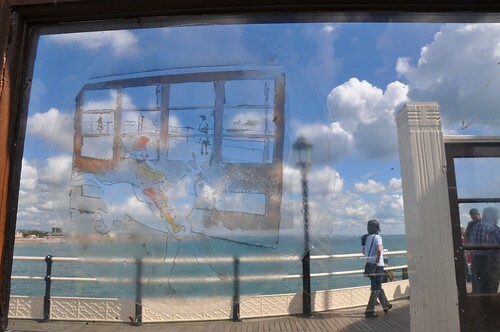 Earlier this year I was asked by artist Dan Thompson of Revolutionary Arts Group and www.artistsandmakers.com to create new work inspired by Worthing Pier for the tremendous Worthing Pier Day and the Made in Worthing Festival. 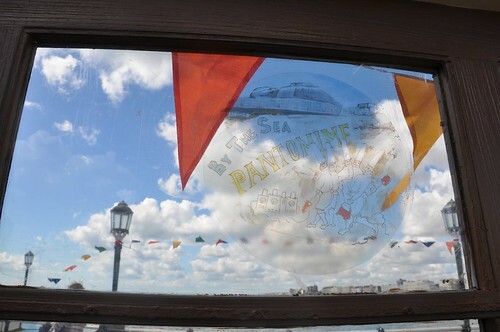 I recommend a visit to Worthing Pier, its not the longest or the oldest but in its fabulous streamlined charm it has all the hope of the future. When the wind blows you feel it might break loose and sail off, past the kite surfers, windsurfers and yachts, beyond the lifeboat men and fishing boats and way on out over the misty horizon and over the high seas. 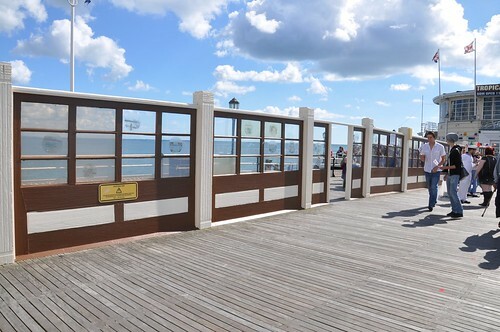 I think Dan just wanted a couple of drawings but after getting the chance to explore the Pier and get to know it better I got carried away by the stories I discovered and set out to make a new series of works on paper and an animation. I’m interested in our relationship to water and how it is changing;- the life above and below the pier, in and out of the water, the characters of seaside entertainment, the ghosts of past fishermen, sailors and boatmen, all the tall tales of the sea, the lore of tides and weather, the survival of coastal communities and the feat of the engineering of the pier. 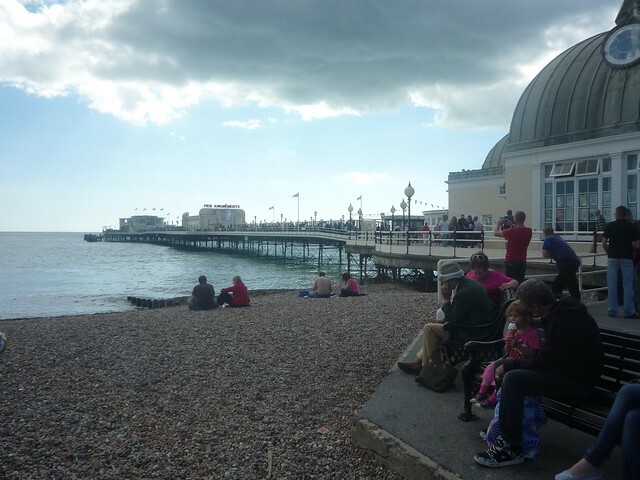 I made some visits to the Pier to explore it above and below, at low tide and high tide, walking, swimming, in a kayak… I thought very much about the icon of the pier and its visibility all along the coast. I found so many intertwined stories of lives lived, and lives imagined around the pier and decided to make a series of 100 views of the pier, partly inspired by Tsukioka Yoshitoshi‘s legendary 100 Views of the Moon published in 1885. The views incorporated characters from legends as well as real life. Around 40 of my 100 Views of the Pier were installed temporarily on the Pier in September for Pier Day and the festival the remaining ones will eventually be published via Bookleteer.com and launched alongside a short film I’m working on of my explorations above and below deck.